Will the Market Rock or Roll? Does anyone else feel as if this has been an extremely long week? With global leaders (one block) to the left and policymakers on the right, the data points and wild whips keep on coming as we edge our way to quarter-end. Given the magnitude of information and our collective time constraints, I'll deep-dive into a number of various topics. Most pertain to the tape while some strive for balance but all, quite hopefully, will provoke thought in some fashion as we together find our way. The data point that continues to vibe is that the Nikkei rallied 20% six or more times-and 50% or more four times-since the secular bear market began in 1990 and is still 74% lower since it began. With a respectful nod to credit markets-which continue to support the potential for higher equities-the question I wrestle with isn't if the next wave of crisis arrives, but when. Timing is everything-and we may have "successfully" transferred our outsized obligations to our children-but that transfer of risk comes at a cost and may well be out of our hands. Only two things scare me aside from carnies (Circus folk. Nomads, you know. Smell like cabbage. Small hands). The others? Messing with Mother Nature and attempting to bend the business cycle. The top story on Bloomberg this morning is that an Age of Austerity awaits the G-20 as $9 trillion looms. Doesn't that phrase seems to strike a chord? Remember the Seinfeld episode when everything seemed backwards? Up was down, down was up, he said hello when he left and goodbye when he arrived? In this Bizarro world, it's nice to see some things stand true, such as "the first move (following the FOMC) is the false move." The question now becomes one of posturing into quarter-end (five trading days) and defining the path of maximum frustration. No matter your view, don't bet more than you can afford to lose and don't get married to the mob mentality. There have been a slew of secondary offerings as risk shuffles back and forth between the public and private sector. Does anyone want to venture a guess who will be left holding the next bag? This is a great interview with my buddy Bobby, the dude who "The Philanthropist" was modeled after. His stories are truly amazing and this book-when it hits the stand-comes highly recommended. Never underestimate the power of a positive pebble. Has it really been two years to the day since the FOMC cut a surprise 50 bips and set the stage for the final leg higher before the wheels fell off the wagon? "Suffering produces endurance, endurance produces character and character produces hope." There is typically one easy trade every day and the best short-term traders I know sniff it, hit it, quit it and leave for the day to enjoy the world around them. I know that's not everyone's bag but it sure does sound like a nice way to enjoy the journey. My two favorite teams in the NFL are the Oakland Raiders and anyone playing the Dreaded Donkeys. In that regard, this weekend's match-up is double jeopardy. Just win, baby. The master beta complex-Amazon (AMZN), Google (GOOG), Research in Motion (RIMM), Apple (AAPL), Baidu (BIDU)-remains the best psychological proxy for quarter-end performance anxiety. For those who subscribe to the notion that China is the dog leading the stateside tail, the following chart caught our attention in the 'Ville. Please note the price action in Shanghai (in orange) relative to the S&P (in white). Minyan Tailgate at Giants Stadium on October 11th for the Raiders game? 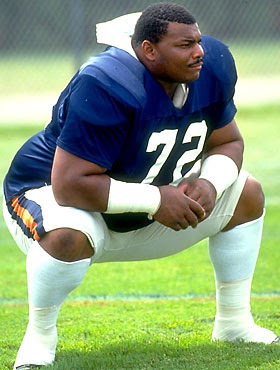 Has anyone seen me and William Perry in the same room at the same time? How bout Tony Dwyer and the AOL smiley face? Why do I get the sense that by December 4th, we're all gonna need to cut some rug and share a hug? How do you spell catharsis? Is that a cup and handle formation for the financials? Do you understand the difference between a job and a business? Why does "the last bullet will be pointed inward" keep popping into my crowded keppe? Does anyone else get the sense that the FOMC is trying to gauge the market reaction by hinting at the removal of socialization efforts?